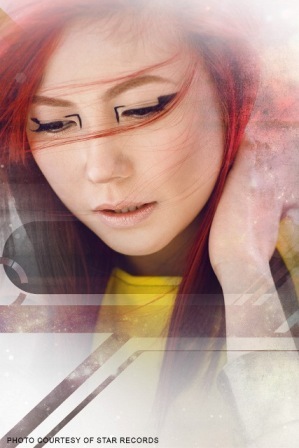 Star Records Reveals a Brand New Yeng Constantino! Multi-awarded singer and songwriter Yeng Constantino will soon launch her fifth album under Star Records titled “Metamorphosis” which introduces the Pop Rock Princess’ brand new look, style and music. “Metamorphosis” features ten all-original tracks, nine of which are composed by Yeng including “Hahanapin Kita,” “Josephine,” “Messiah,” “Pasensya Na,” “Sana ‘Di Nangyari,” “Sana ‘Di Pa Huli,” Teleserye ang Pag-ibig” and the carrier single “B.A.B.A.Y.” which can now be downloaded via www.mymusicstore.com.ph. The official music video of “B.A.B.A.Y.” will have its MYX premiere on Thursday (January 17) on MYX SkyCable channel 23. The song “Chinito” was written by Jed Dumawal. "Metamorphosis” album will be available on all record bars nationwide on January 28 (Monday) at only P299. Don’t the nationwide release of Yeng’s newest album and discover the big transformation that changed her as a musician and as a total performer. For more information about “Metamorphosis,” visit Star Records’ Facebook fanpage at www.facebook.com/starrecordsphil or follow @starrecordsph on Twitter.